Need a new shifter knob to replace the aftermarket POS currently in place. Unwilling to spend $159 at "the store that sells Viper stuff" for a frickin shifter knob. Not in love with other stuff I'm seeing. Looking for something G2ish, needs to fit my IPSCO STS, 1/2 x 20 I believe. Not interested in an alloy "heat sink". PM or email is fine, thanks for looking. What do you currently have that you hate so much? Last edited by Fatboy 18; 02-07-2019 at 04:53 PM. I went with this rubber comp coupe one for like $50. Nothing flashy, but gets the job done and feels a lot better to me than the 8 ball type shifter knob I had. Not a fan of the glossy ones. A little sweat on your hands and grip is non-existent. Similarly, that tacky looking plastic mgw "striker" knob that a lot of people ran back in the day has minimal grip. Check out the OEM 1999-2017 knobs. They can be had used(like new) for 50-100bucks and are well worth it. We stuck with the same design over all those years for a reason. Bold shaft, quality leather Knob w/stitching, and cool looking shift pattern indicator. Functional, and goes well with the Viper interior. What more do you need? Sorry, but nothing MGW ever made was tacky, and it was CNC'd aluminum done to ridiculous tolerances. They made the best short throw shift kit ever done for a Viper and tons of the Vipers racing in the Viper Challenge Series and Viper Racing League ran his racing knob/shift kit. George owned a zillion Vipers, himself, over the years and constantly updated and worked to make the shifters and accessories better, as his passion for the Snake was second to none. 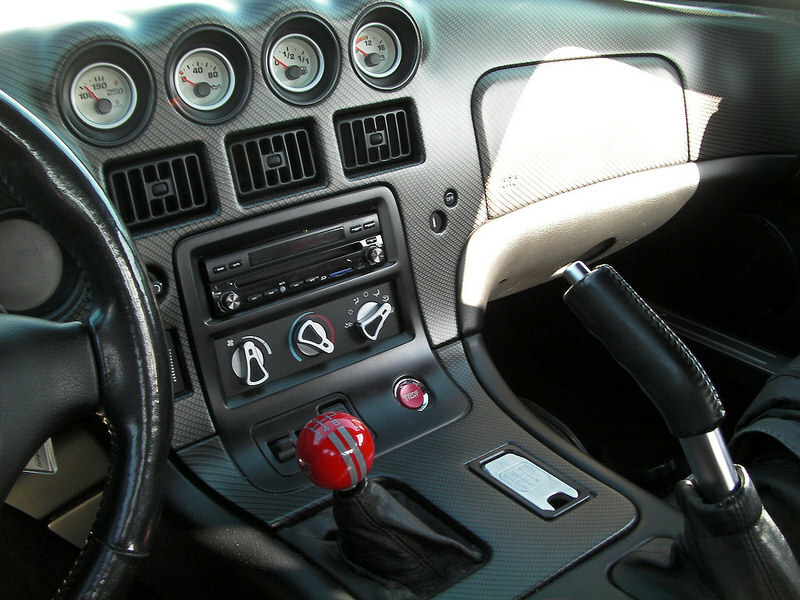 He had more than one design of knobs , predicated on what Viper owners liked and the racing shift knob was treasured by many --- we put them in practically every track car we modified for many years. As for feel , with your racing gloves on , it was the only one I ever liked. Just saying , as most of us love George , and he made great shifters for all types , but 90% of them were CNC aluminum ( only know of a few round ball type knobs he made for Mustangs and Vette owners and a few Viper requests ). Last edited by Bill Pemberton; 02-08-2019 at 10:29 AM.